Using eco-friendly products has become a high priority for many parents. These products are often made with natural ingredients or with low-impact processes, making them better for the environment than traditionally-made products. The focus on natural ingredients also means that there are fewer chemicals, plastics, synthetics, and other harmful materials for their family to be exposed to when using eco-friendly products. However, many parents struggle to find eco-friendly products that work well and otherwise meet their needs despite the widespread health and environmental benefits that they provide. Here are six eco-friendly products that can help you feel good about the health of your family and that of the environment all at once, from bento lunch boxes to cleaning supplies. Many cities are banning the use of plastic bags and charging a small fee for each paper bag used instead, but those paper bags can take up a significant amount of space in your home after just a few shopping trips. Instead of paying for each bag and then worrying about where to stash it, invest in a set of reusable shopping bags. The BagPodz Reusable Bag and Storage System comes with 10 brightly colored reusable bags, which are made of ripstop nylon and can hold up to 50 pounds each, ensuring that you won’t have to deal with troublesome spills. The bags can be stored in the included nylon carrying case, which is fitted with a carabiner that can easily be clipped to a purse or shopping cart. 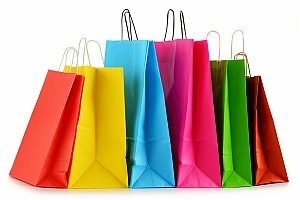 No matter how much spare space you have in your home, the quick storage method can help you keep your shopping bags organized and prevent you from needing to spend more money and space each week on paper bags — and with a collection of 10 sturdy bags at your service, you may never need a paper bag again. Mrs. Meyer’s was founded by a mother of nine who was looking for natural cleaning products that worked as well as commercial cleaners. The brand makes a variety of eco-friendly products, including hand soap, dish soap, and multi-surface cleaners, that help you and your family avoid otherwise harmful chemicals. The packaging is made out of renewable plant materials and post-consumer plastic whenever possible, and all of the formulas are biodegradable, so you never have to feel wasteful if the last few drops refuse to come out of the bottles. The company has compiled a glossary of ingredients on its website to help consumers understand what exactly goes into each product, helping you make smart choices for your home. As an added bonus, Mrs. Meyer’s products come in a huge range of scents, from floral to herbal, so your home will always smell fresh. The company offers a subscription service that can be customized with your favorite scents and products to ensure that you always have exactly what you need to clean any mess. Mrs. Meyer’s is also active in charity work, and your purchases help them continue to work for a variety of causes. Kangovou’s bento lunch boxes are the perfect solution to your food storage needs. These stainless steel containers are BPA, phthalate, PVC, melamine, and lead free, ensuring that your child’s food stays safe from harmful chemicals that plastics can leach into it over time. Some of these chemicals can cause hormonal disruptions, and others are neurotoxins that otherwise affect children’s growth, making it important to choose non-toxic food storage options. The boxes are double insulated to keep hot foods hot and cold foods cold until lunchtime for safe food storage. This design also ensures that heat does not transfer to the outside of the box, making it easy to handle for children and adults. 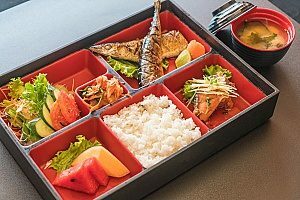 Each bento box contains two side by side compartments that make packing multiple foods in one container easy and can also assist with proper portion control for healthy lunches. The boxes are available in two sizes, both of which contain a snap-on lid. They are the perfect lunchtime container for children of all ages. There’s a lot of waste that goes into each school year, from pencils and notebooks to crayons and markers. The Ultimate Green Store sells eco-friendly versions of all these products and more, including non-toxic glue sticks, from a variety of brands, making it the perfect one stop shop for eco-conscious families. All of its notebooks, folders, and other paper products are made of recycled paper or alternative materials, like bananas. Its non-toxic ice packs are biodegradable and made of FDA approved fillers that won’t cause harm if the heat-sealed package is accidentally opened. Available backpacks include traditional packs, rolling models, and fun animal designs for small children. Its EcoGear line of backpacks provide plenty of storage space and is made of a chlorine-free fabric that is composed of recycled water bottles. The company also offers a wide range of recycled newspaper pencils, biodegradable soybean blend crayons, and recycled rubber erasers. The Ultimate Green Store lives up to its name by providing cleaning supplies, clothing, and other organic and eco-friendly products as well. Environmental advocates often recommend that families with babies use cloth diapers due to their low environmental impact. However, many families simply don’t have the time, energy, or desire to use cloth diapers, so it’s good to know that there are some more disposable and eco-friendly products available. Bambo Nature diapers use wheat starch for most of their filling, which is better for the environment and your baby than the synthetic gel filling many conventional diapers use. About 75% of the materials used for these diapers are biodegradable, and they are totally free of chemicals, allergens, dyes, inks, latex, glue, perfume, preservatives, and lotion, so even the most sensitive baby can wear them in comfort. The company undergoes rigorous environmental inspections to ensure that the manufacturing process is minimally damaging to the environment, and only renewable raw materials are used in the production process. Bambo diapers are available for newborns to children weighing 66 pounds, meaning that families can use them all the way up to a child’s potty training days.